Spring Art Show - "Childhood Memories"
Theme is "Childhood Memories". Along with your entry, you must also write a short explanation of your "Childhood Memories" art piece on a 3x5 card to hang beside your artwork. We will be enforcing size guidelines, in order to give the shows a better look, and to avoid overcrowding. 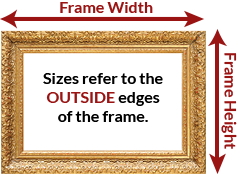 These sizes refer to the outside edges of the frame. 3 pieces 11 x 14 or smaller. 2 pieces are allowed if both are 30 x 30 or smaller. One piece if it's larger than 30 x 30, with maximum size of 40 x 40. Sizes may be figured by adding two adjacent sides, so smallest no bigger than 25 (11+14), middle size 60 (30 + 30), and largest when two sides are greater than 60 but not larger than 80 total. Our Fall Art Show will be in October at La Casa. This show will also have a theme. Omaha Artists, Inc. will be publishing a cookbook, with recipes from our members, and with artwork from our artists. So the theme will be something dealing with food – and can depict scenes of crops in the field, the harvest, gardens, fruit trees, farm animals, still lifes of food, people working in the kitchen, someone milking a cow or goat, feeding chickens, etc. A title for the show will be forthcoming. Dates will be determined soon. The title or theme for the Oct. show is: “From Farm to Kitchen”. In this exhibition, I enjoyed the diverse approaches in the artists’ works, including the various art mediums as well as the many different approaches and statements in their art. In judging an exhibition, I do my best to be objective (though this is probably not humanly possible) and try not to seek out works or mediums that I "like," or styles of art that I prefer to view. This exhibit was "open" in that it didn't break down the entries into distinct categories. I think this was a good idea since, as one views the exhibit, there are works that blur the line between distinct categories. This also encourages artists to "think outside the box" and perhaps experiment with new approaches that might lead to new discoveries of self-expression. Our Fall art show will be in October at La Casa. Dates will be determined soon. Theme is "Childhood Summers". Along with your entry, you must also write a short explanation of your "Childhood Memory" on a 3x5 card to hang beside your artwork. 3 pieces 11 x 14 or smaller. If one of your 3 pieces is larger than 11x14, then you can only enter 2. Sizes may be figured by adding two adjacent sides, so smallest no bigger than 25 (11+14), middle size 60 (30 + 30), and largest – when two sides are greater than 60 but not larger than 80 total. Restrictions may vary from show to show. Refer to Standards for Exhibiting Artwork for restriction details of a show. Our ‘Chillin’ Winter” Omaha Artist, Inc. Art Show at the Jewish Community Center had 55 artists enter a total of 107 works of art! This is a big show! Please come to our reception this Sunday, February 10 from 2-4 at the Jewish Community Center, 333 South 132nd St. where we will be giving out the awards, and of course present at the reception, but he has included his remarks on the the show for this newsletter. Born in Ord, Nebraska October 16, 1939, Mr. Hal Holoun attended Hastings College in Hastings, Nebraska; received a graduate degree from the University of Wyoming, Laramie Wyoming. Private study includes ceramic sculpture with Helen Geisel, Denver, Colorado and photography with Ruth Bernhard, San Francisco, California. He has had teaching experience at various colleges and universities, as well as having conducted numerous private classes and workshops. He was named Exhibitions and Programs Director at Stuhr Museum, Grand Island, Nebraska in 1972. He resigned his position at that museum in 1979 to pursue work full-time as a studio artist, and continues his studio work to the present day. His most recent local exhibit was at Gallery 1516 in Omaha in 2018, in a two-person exhibition with the pastel artist, Jennifer Homan. You can see all of the winning entries in the 2019 Chillin' Winter Art Show Gallery. "Henry Doorly Zoo's Lizard King"
Jewish Community Center, 333 South 132nd Street. Questions – call Sharon Clawson at 402-672-7536, or any of the art show committee members. On a rainy cool day, thirty-nine artists braved the elements and came to Gallery 92 in Fremont to enter our Omaha Artists, Inc. Fall Art Show. We had sixty-eight lovely entries. Our judge, Barb Simcoe who is an instructor in the UNO Art Department spent a great deal of time selecting the best of the best. So congratulations to the winners, and hope everyone will make it to the reception on Friday, October 5 from 5 - 7. Please refer to Standards for Exhibiting Artwork for all of the art show requirements. A wire hanger must be on the back of your 2-dimensional art piece. For a non-framed canvas, the edges must be painted with no staples showing. The artwork must have never been entered in any of our previous shows. The art must be recent, created within the last 2 years. Please do not pick up artwork before the take down date. Contact me for special arrangements. The show looks best as a cohesive unit with no open spaces. There is No Theme. There is a $15 entry fee for up to 3 entries, depending on size. Gallery 92 will take a 30% commission on anything that sells, so price accordingly. You may enter 3 pieces if each piece is 11x14 or smaller. If one piece is larger than 11x14, then you can only enter 2 art works, and they cannot be larger than 30x30. Only 1 piece is allowed if it is larger than 30x30, with a maximum of 40x40. 3- dimensional pieces do not have size restrictions, but please call me if you need a pedestal. Please fill out a registration form for each piece you want to enter. You can print them from this newsletter, and we will have extras for people who don’t have any forms. See forms at top of page 6. A wire hanger on the back of your 2-dimensional art piece. A non framed canvas, the edges must be painted with no staples showing. The artwork must have never been entered in any of our previous shows, and been created within the last 2 years. Please do not pick up artwork before the take down date. Contact me for special arrangements. However the show looks best as a cohesive unit with no open spaces. Your art work must have some plant life in it, since this show is for the botanical gardens. There is a $15 entry fee for up to 3 entries, depending on size. Lauritzen will take a 25% commission on anything that sells, so price accordingly. You can only enter 1 piece if it is larger than 30x30, with the maximum allowed of 40x40. 3- dimensional pieces do not have size restrictions, but please call me if you need a pedestal. Some are available, but we need to make sure Lauritzen has enough. Please fill out a registration form for each piece you want to enter. You can print them from this newsletter, and we will have extras for people who don’t have any forms. Fall Art Show – Oct., 2018 At Fremont’s Gallery 92 No theme, same size requirements. They take 30% commission. Spring Art Show - May 2019 At Hot Shops Art Center, theme to be announced. Bonus Art Show "Another Bloomin' Art Show"
Lauritzen will take a 25% commission on anything that sells, so price your pieces accordingly. Please refer to your roster for all of the art show requirements. You must have a wire hanger on the back of your 2-dimensional art piece. If a canvas is not framed, the edges must be painted with no staples showing. The artwork must have never been entered in any of our previous shows, and been created within the last 2 years. Please do not pick up your artwork before the take down date. Contact me for special arrangements, but you know the show looks best as a cohesive unit with no open spaces. Your art work must have some plant life in it, since this show is for the botanical gardens. You can only enter 1 piece if it is larger than 30x30. Fall Art Show – Oct., 2018 at Fremont’s Gallery 92 No theme, same size requirements. Good news from the Spring Hot Shops Art Center Show! Five works of art were sold! Bonus Art Show – "Another Blooming Show!" The show will be held at Lauritzen Gardens. Paintings or sculptures have to deal with plants or flora of some type – a tree, a flower, avegetable, a landscape (that has something from the plant family in it) Lauritzen takes a 25% commission. Size restrictions apply. Only one entry is allowed if larger than 30 x 30, with 40 x 40 being the maximum. Two pieces only when larger than 11 x 14, and less than 30 x 30. Three dimensional art has no size restriction, since it does not take up wall space. Paintings or sculptures have to deal with plants or flora of some type – a tree, a flower, a vegetable, a landscape (that has something green in it). Lauritzen takes a 25% commission. The Fall Art Show will be in October at the Fremont Art Gallery, Gallery 92. Look for more info in the next newsletter! We had 47 artists who entered 88 pieces of art. Please come see this outstanding art show with such variety and meaningful works of art using this theme. It will be up until April 2. Our judge, Duane Adams spent a lot of time deciding the winners, and gave out 4 Judge's Choice Awards because he wanted to reward more good art. Thanks to my loyal committee, Pat Lontor, JoAnne Nielsen, Debie Plog, Denice Lueke, Al Rhea, and Linda Glantz who put in a good day's work to receive and hang the show. So far, One piece of art has sold – Albert Rhea's photograph called "Bright Eyed Lady", so congratulations to Albert! Our Art Show at The Jewish Community Center was well attended and received! We had 43 artists enter 86 works of art! Bravo!! Jewish Community Center Winter Art Show Winners! Three paintings sold at the Winter Art Show. Congratulations to -Linda Jones sold her pastel - "Cocker Spaniel", Marion Janecek sold her watercolor - "Winter Apples" and Cheri Oelke sold her pastel -"Chickasaw Sue". Omaha Artists, Inc. Art Show – "The Artful Letter"
The theme for this show is "The Artful Letter". You don't have to have any writing or letters inside your painting, but if you want to you can. Just come up with a word, or phrase, a paragraph, a letter someone wrote, a poem, etc. and then paint something that conceptualizes those words. Then please write up your meaning behind the word or phrase on a 3x5 index card and bring to registration to hang next to your piece. Good News!! Two more paintings sold at the La Casa Fall Art Show. Congratulations to these two artists: Nancy Ralston - watercolor - "Garden Walk", Judy Freeland - watercolor - "A Loon"
There is no theme. The fee of $15 for up to 3 paintings. The JCC takes a 25% commission, so price accordingly. Reception: Sunday, January 7 from 2 – 4 pm. Take down: Tuesday, January 30 from 11 am –1 pm. Three pieces 11 x 14 or smaller. Three dimensional art has no size restriction, as it does not take up wall space. A filled out registration form is required for each piece entered. Include the size of your entry on the registration form measuring from the outside of the frame. Please do not use saw-tooth hangers for your art. You must use a wire for hanging. See the roster for art show rules and regulations. Take Down - Fall Show at La Casa Pizzaria Monday, Nov. 6, 11-1pm. Please don't take your art down early! You must contact Sharon Clawson to make other arrangements. Correction on winners of the Fall Art Show: I made the mistake of mixing up 2 artists and which places each received. I'm very sorry for this! Jewish Community Center -January 3 - January 29, 2018. There is no theme. The fee of $15 for up to 3 paintings. The JCC takes a 25% commission, so price accordingly. The spring show will be held at the Hot Shops, Feb 27 - April 2, 2018. Theme "The Artful Letter". Choose a word, phrase, a sentence, or a paragraph, and illustrate it. You will need to write a short statement about your phrase and how you illustrated it. If you have questions, please call me. Size restrictions are the same in this show. Our extra art show is at Lauritzen Gardens and will hang from June 6 - July 24. You have to paint something that includes plants – a landscape, a garden, a flower, a forest, etc. Same size restrictions apply. We had 33 artists enter 59 pieces of art in our latest art show at La Casa Pizzeria. Our j Bonnie O'Connell enjoyed judging the art, and had a lot of good things to say. I hope that many of you will be able to go view the art, and maybe enjoy the food at La Casa at the same time! The art will be up until November 5. See winning entries. Congratulations to all the winners! Thanks to the Art Show Committee and their work at receiving entries, hanging, and putting on a first rate reception - Debby Plog, Pat Lontor, Denise Lueke, Linda Leary, Linda Glantz, and Jo Anne Nielsen. September 19-November 6, 2017 at La Casa Pizzeria, 4432 Leavenworth. No theme. Registration fee is $15.00 for up to 3 pieces, depending on size. Judge for this show is Bonnie O"Connell from UNO. Sculptures not restricted to size limit. See Art show entry forms to print. La Casa restaurant on 4432 Leavenworth St. is the location for the Fall Art Show. Registration will be on Monday, September 18 from 11-1. The reception will be held the following Monday September 25th, 5 - 7 pm. Take down on Monday, Nov. 6 from 11-1 pm. There is no theme. Omaha Artists, Inc. Spring Art Show "Fusion of Artistic Minds"
We have an outstanding art show at Hot Shops Art Center at 1301 Nicholas Street. There were 48 artists, with 88 art pieces exhibited. Please come to the reception – this Sunday, May 7, from 2-4, where we will give out the awards, hear our judge, Bob Bosco give a critique of the show, all while enjoying food and drink and good company. If you can't make it on Sunday, the show runs through May 28, with Hot Shop hours of M - F, 9-6,and weekends, 11-5. Keep painting for next fall's show at La Casa - registration will be on September 18!! Bob Bosco has been an Art Professor at Creighton University since 1976. Bob has joyfully taught Oil Painting, Collage, Life Drawing, Acrylics, Watercolor, Chalk Pastel and Basic Drawing and Design. He has participated in over sixty exhibitions throughout the United States, received nine awards and two residency grants for national art colonies. Current research has been at Kripalu Center for Yoga and Health and Omega Institute for Holistic Studies. He has recently completed a one person exhibit at the 1516 Gallery in Omaha involving 48 Yoga Paintings-ten years in the making. Good News! One painting sold at the Jewish Community Center Art Show. Congratulations to Marilyn Beig for selling her acrylic painting entitled “Board Meeting”! This theme is very general, so you can interpret it in any way you like. Pretty much anything goes, so don’t worry about it. It’s just an interesting title. Please note: The show will be in the month of May. Not April as previously stated. Call Sharon Clawson at 402-672-7536 if you have questions.